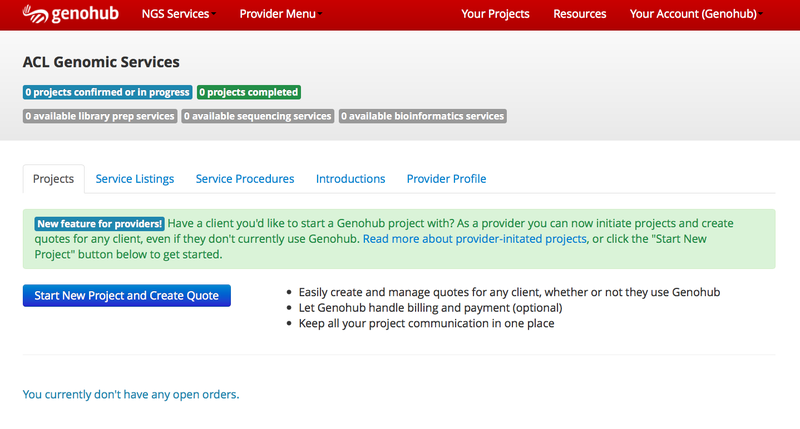 Enter the researcher’s information and select whether this project will be managed by you or Genohub. For more details on project management see our provider guide. 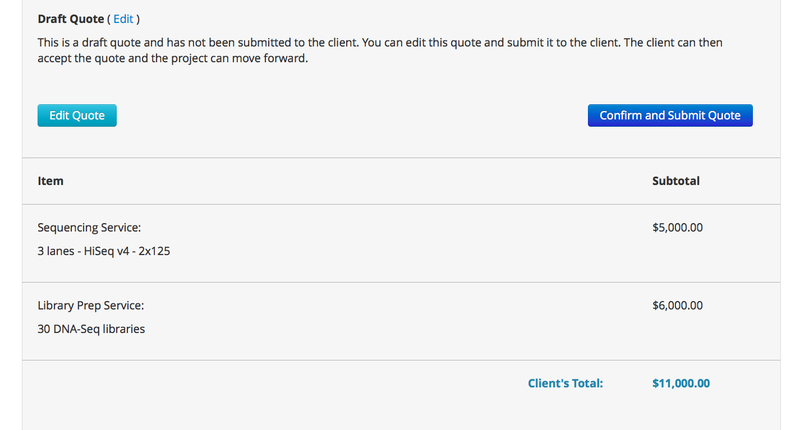 Create a quote by clicking the “Edit Quote” button. Your quote can include any service you’d like (e.g. sample preparation, microarray, data analysis, microscopy, etc.) and doesn’t necessarily have to relate to sequencing. Once you’re done creating the quote, click “Confirm and Submit Quote”. Your confirmation will result in an email notification, giving the client access to the quote. 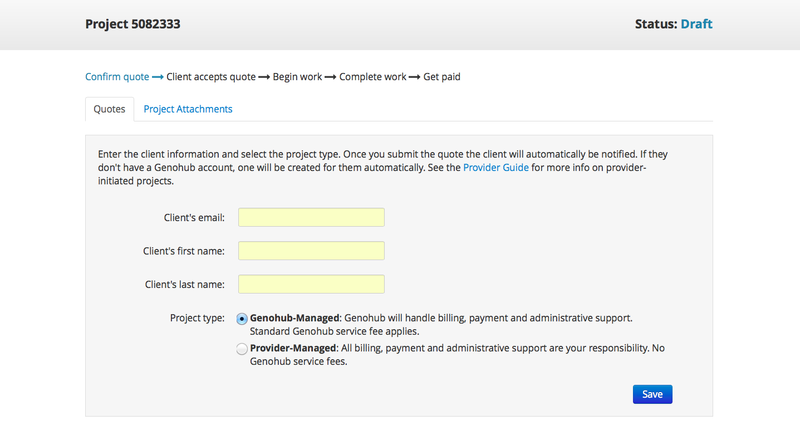 If the client has never used Genohub in the past, an account will be instantly created and login information sent to the client. If you’re not ready to submit the quote, simply save it and come back to it later via your Project Dashboard. Our ultimate goal is to make all interaction between service providers and researchers as seamless as possible. By opening access to our project tools, we’re reducing the burden of project management so the focus can be on science. If you’re not already using Genohub, sign up today. If you’re already signed up as a service provider you can begin using this tool immediately. This entry was posted in Genohub News, Genohub Press Release, Genomic Digest, High Throughput Sequencing Currents, High Throughput Sequencing Resources, Next Generation Sequencing Market, Uncategorized and tagged LIMS, order management, project management, quotation software for next generation sequencing providers. Bookmark the permalink. ← How Much Sequencing is Needed For ChIP-Seq ?